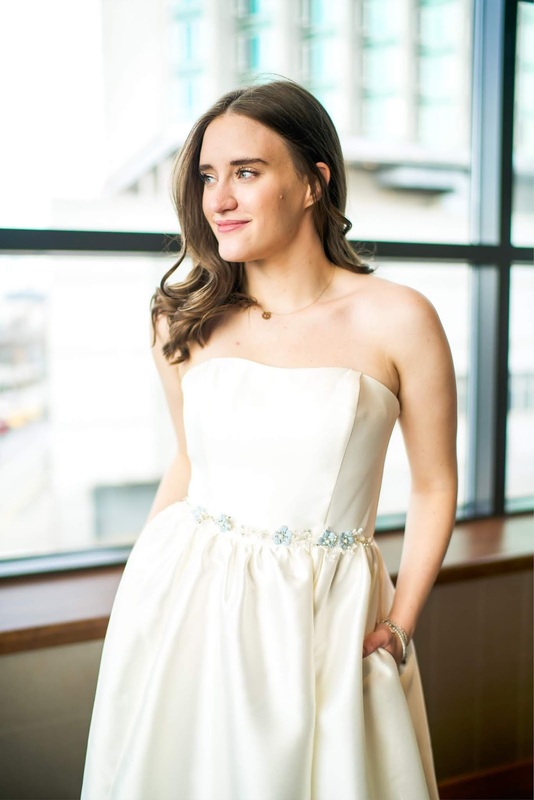 Super excited to show off a really cute white dress for any brides to be out there like myself. 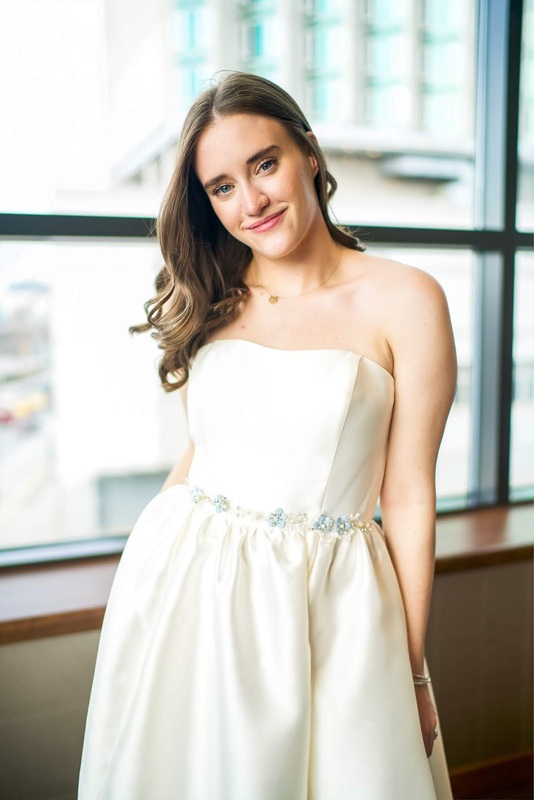 I'm partnering with David's Bridal to promote their wide selection of wedding party dresses. Anything from the engagement to the bachelorette to the shower, David's Bridal is a one stop shop!! How FUN is this dress?? I've been HUNTING for white dresses this year and they're finally all starting to come out and I'm just here drooling over them all. At first I was worried I wouldn't have enough and now I'm trying to come up with more parties to wear them. This dress is definitely on the more formal side but I'm thinking that if I want to dress up, I'm totally allowed to. I mean when do I have more of an excuse then this?? I'm not usually a fan of high/low dresses but man oh man is this dress amazing. 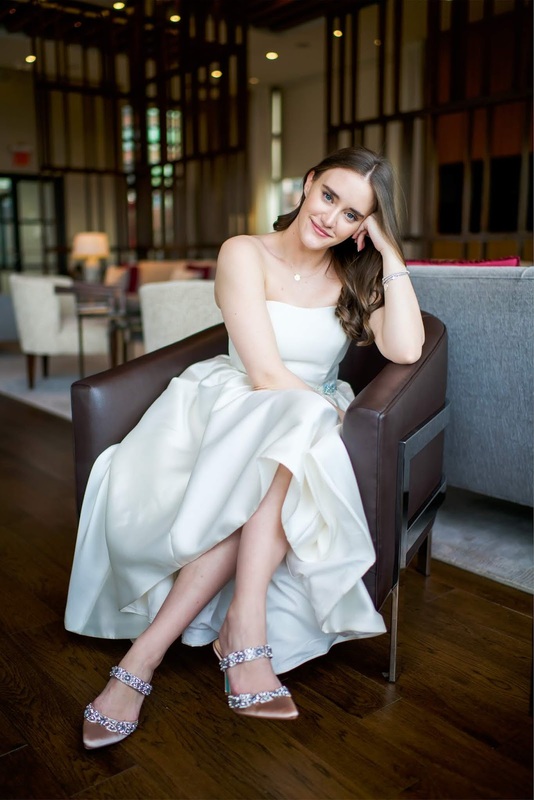 I love how simple it is so I can really dress it up with accessories like this sash and sparkly mules. 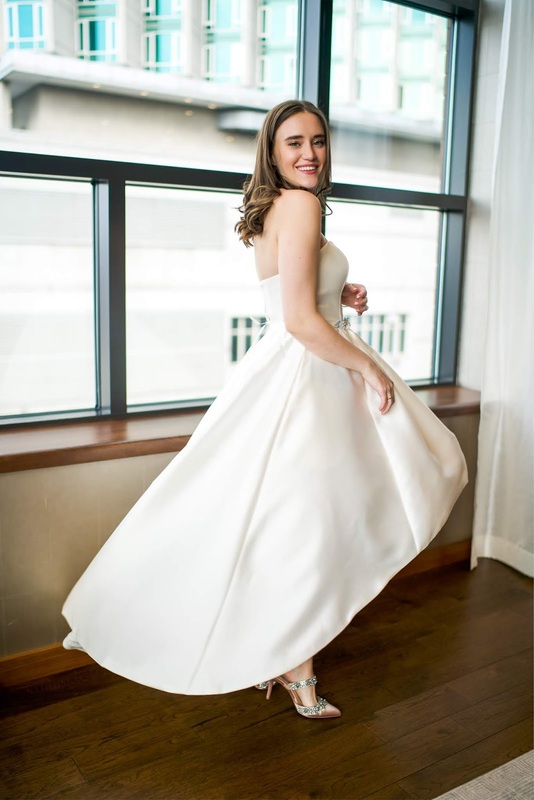 And if you love this dress but aren't a bride or not looking for a white dress, check out this almost identical one that comes in 12 colors and is on sale for $50! Perfect for bridesmaids or any girls out there looking for a great summer wedding guest dress. 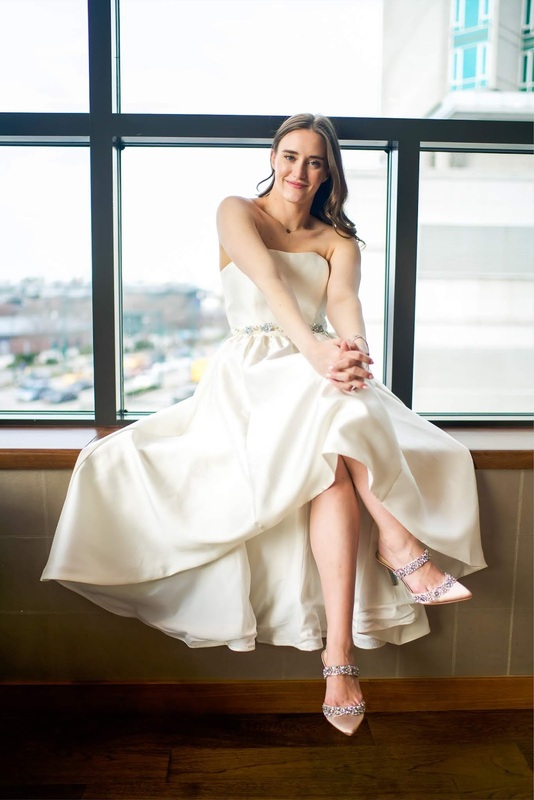 I feel like people should know about this but after talking to my friends, obviously not enough: David's Bridal has some AMAZING little white dresses for all your wedding events. They have some really great styles in a ton of sizes and a range of prices. Hello options, options and more options. 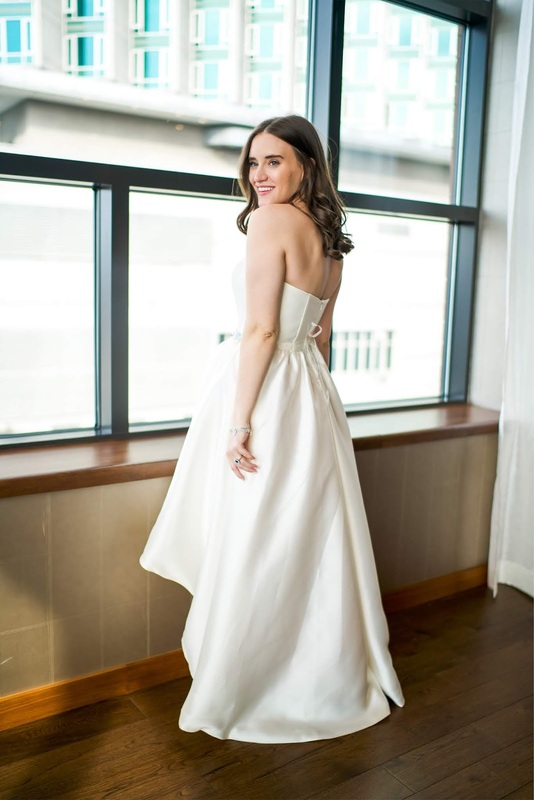 It's not all just wedding gowns (although they do have some great gowns too). 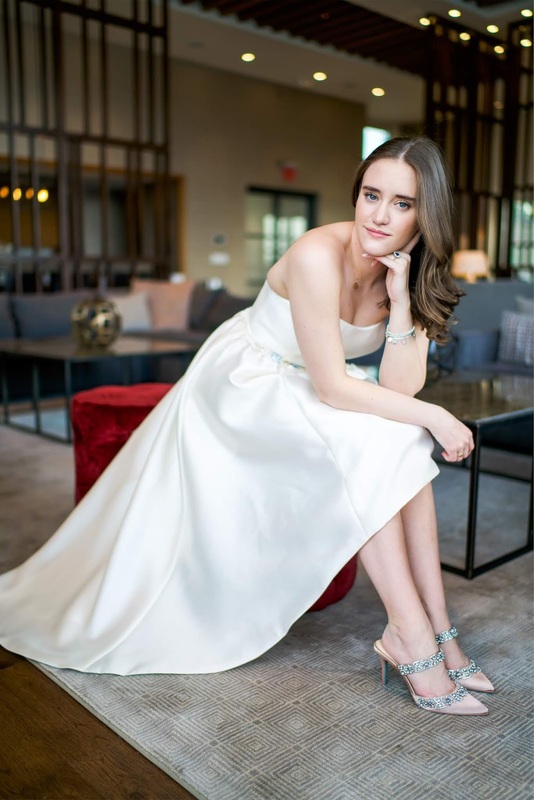 Thanks to David's Bridal for sponsoring todays post! Omg, Krista!!! These photos are gorgeous!! Also, I couldn't agree with you more. Wear all the LWDresses you can during this time, and continue to rock them even when you're not engaged anymore! These photos are GORGEOUS! 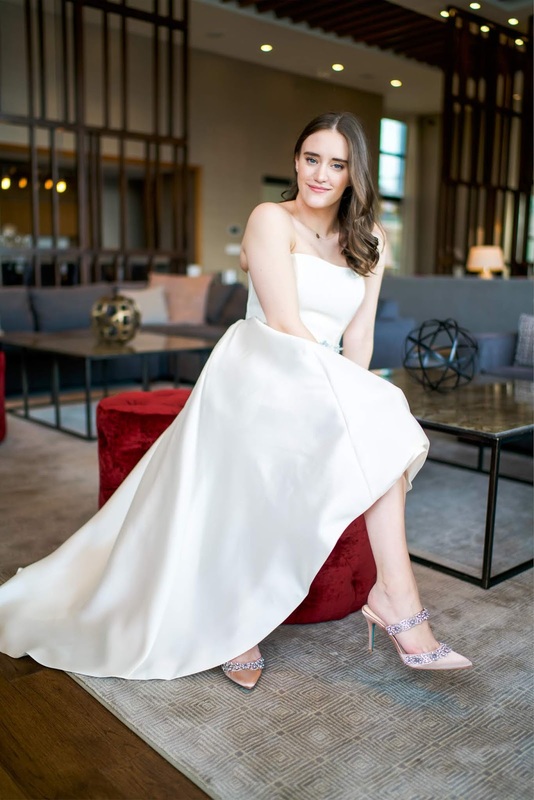 I hope you felt like Carrie Bradshaw during her wedding gown shoot, because you sure look like it! !